Spend a few hours or a few days in the Company of Adventurers! Want to learn about shipwrecks, including exploration methodology, hands-on training, historical research and significance, the current political climate surrounding shipwreck exploration, and the list goes on? Then SHIPWRECK SCHOOL is for you. You will find SHIPWRECK SCHOOL to be a place open and of interest to both scuba divers and non-divers alike. We promote and foster private exploration of shipwrecks. To date, it seems there is no other institution in the world specializing in this type of shipwreck education or training. Shipwreck School has been designed to offer information and instruction to people anywhere in the world. It offers a unique opportunity in the form of a diverse selection of courses, seminars and workshops designed to train, educate and inform. 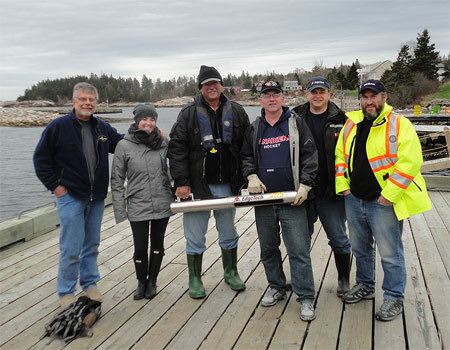 Given that the topic of shipwreck exploration is so broad and diverse and can be both complicated and controversial, Shipwreck School Instructors offer a balanced and well-rounded approach. 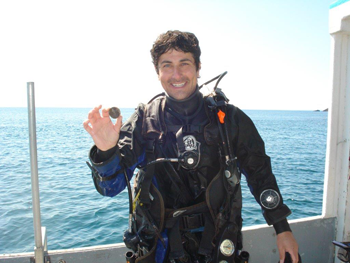 We achieve this by offering training from a variety of perspectives, including that of marine archaeologists, seasoned shipwreck explorers, and exploration technology gurus. What’s more, instructors at “Shipwreck School” are well-equipped to provide training based on actual experience versus opinion or policy. In fact, each one is a respected professional in their respective fields and has a minimum of a thousand hours or more of actual “field experience”. 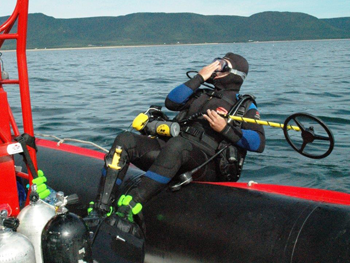 We offer private “hands on” training on all types of shipwreck exploration equipment ranging from side scan sonar systems, marine magnetometers or ROV Systems to Full Face Masks, underwater metal detectors, underwater camera / video systems and even small craft (Zodiac) operator training. 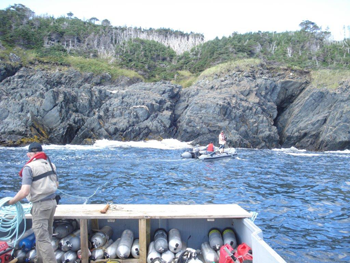 Our SCUBA Instructors can certify to all levels from basic open water through to Instructor status.Shipwreck School is located in Spanish Ship Bay on Nova Scotia’s unexplored Eastern Shore. We currently offer private and semi-private courses, consulting and training. Our instructors and our equipment are fully mobile and we are able to offer our private or semi- private courses anywhere in the world. Please feel free to browse the website and e-mail us if you have any comments, questions or suggestions.